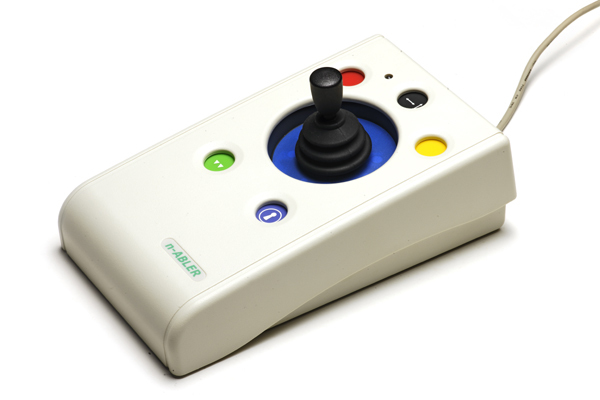 The n-ABLER Joystick is especially suitable for improving access for children and young people with some special educational needs, learning difficulties, for those who's work entails long periods of computer use and for older people and others with movement impairment. 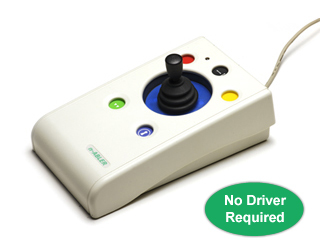 The n-ABLER Joystick emulates a computer mouse but, with fingertip control and the need for only minimal hand movement, reduces wrist and elbow fatigue, requires far less effort and is less tiring. The symmetrical design enables users to work with either hand without having to angle the wrist, and the unit can also be configured for 'left-handed' operation. Its large, integrated hand support/palm rest makes work posture more relaxed and less strained. For users with limited movement, double-clicking and click-anddrag can be particularly difficult- so n-ABLER provides buttons to perform these actions for you. The cursor speed may be selected using a button on the rear of the unit which, together with the single-axis button, can be used to tailor the cursor movement to the user’s exact needs. 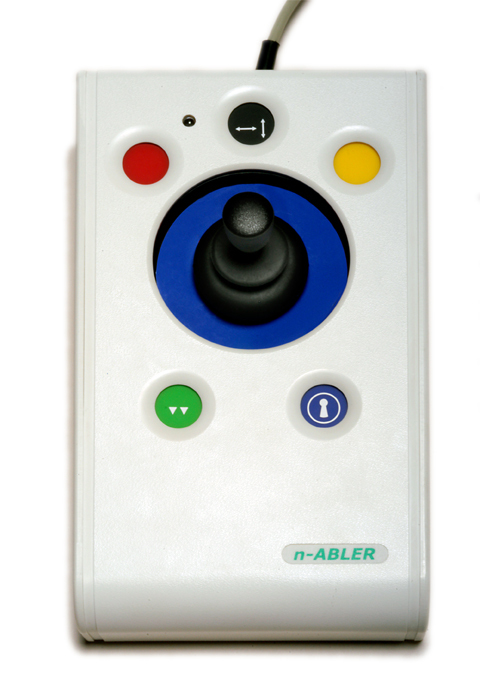 n-ABLER is switch adapted and the two 3.5mm sockets provided can be programmed to function as any of the six built-in buttons (including speed). Alternatively, for users who find switch use difficult, a Dwell Click function can be programmed to allow n-ABLER to be used entirely without switches. This is programmable for both the dwell period and the click function- e.g. left click, double click etc. An industry-standard three-point fixing system is provided to allow the unit to be mounted where necessary and the unit even allows the direction of cursor movement to be changed so that the unit may be mounted in any orientation.